...with over 30 years of law practice! We practice in personal injury, business, and successions. We are a leading law firm whose goal is to protect you, your family and business. We aim to assure our clients that with our help it is possible to quickly and effectively resolve any issue. Our services are above average when it comes to personal attention. We believe that every client deserves to be treated with the utmost respect. Each case and client deserve individual attention. When you call Robert Angelle, you deal with him. You will not be passed through a maze of employees. Make sure that you are represented in any personal injury situation. Trying to deal with the complexities of any type of injury case may hurt you in the end. Whether you are just starting a new business, or you have an existing business- there are many aspects to consider to keep that business healthy and viable. Protecting you and your rights is our goal. Make sure that you know and understand what is rightfully yours. 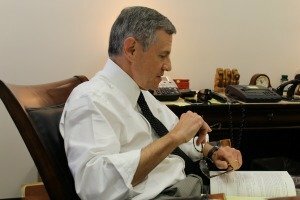 When you retain Robert Angelle for your legal needs, you are retaining one of the greater New Orleans best and most experienced attorneys. 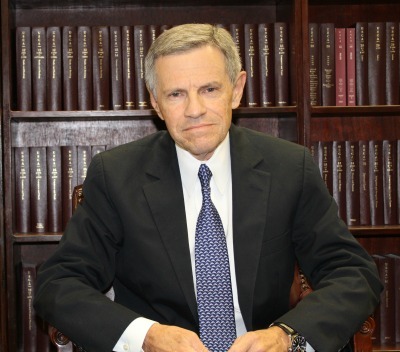 In his more than 30 years of practicing law, Robert Angelle has become more than qualified in assessing and determining the best strategies. A personal injury case should never be taken lightly. There are a host of complex situations that need knowledge and experience to maneuver. You could potentially end up doing more harm to your case than good. That’s why you really need to contact Robert Angelle for the best outcome! We offer an initial FREE CONSULTATION! We also believe that you will receive the best attention because you are dealing directly with an experienced attorney. We do not pass you around to employees. When you call the law office of Robert Angelle, you speak directly with Robert Angelle. PERSONAL INJURY: PAY NOTHING UNLESS WE WIN THE CASE! Our goal is to get your business protected, and well represented. The best thing to do is to call, schedule an appointment, and allow us to sit down and discuss your options. You should never try to handle or manage an accident situation by yourself. We are experienced experts when it comes to dealing with the legal end, as well as maneuvering through the complex issues and law with insurance companies and claims. Please call us before you make any move or decisions. Every attorney should give free consultation? Every attorney and law firm has their own specific reasons when it comes to offering any free consultations- or not. We confidently believe that when you call us, you will be pleased with hiring us for any of your legal needs- therefore, we offer a FREE initial consultation! 3 tips to avoid expensive legal advice? 1.) Call us first because we offer a FREE initial consultation. 2.) We will guide you discreetly and professionally as to your options. 3.) We aren’t happy unless you are happy, and feel confident to proceed with your case! Attorney Robert Angelle has been more than I could have asked for in an Attorney. I have found him to be very ethical, and he patiently explains the situation, options, and legal details in such a way that anyone can understand. I really like the fact that he is very down to earth and accessible. I don’t feel as if I am being passed to office clerks, or that I am just a number. I believe that if you need help with business situations, a personal injury case, Wills or Successions, you really need Robert Angelle on your side. Bob represented my husband in business litigation for years. After my husband’s stroke, he provided me with his counsel and advise. He also successfully represented me in a mediation with our property insurer concerning the destruction of our home during Hurricane Katrina. We were very pleased with his representation. Bob Angelle is an awesome attorney. He took me step by step explaining how a deposition is handled. He helped me understand the procedure and explained how the other side will try and confuse you. That kept me on my toes so that I didn’t keep talking too much. I really appreciated Bob explaining and working with me. He was always available if I had questions and he returned all of my phone calls. He kept me posted and I was aware of what to expect. I will recommend Bob to anyone who needs any legal help.